Offering reminder service works very well for vente privee because it is first come, first served until the boutique sells out. 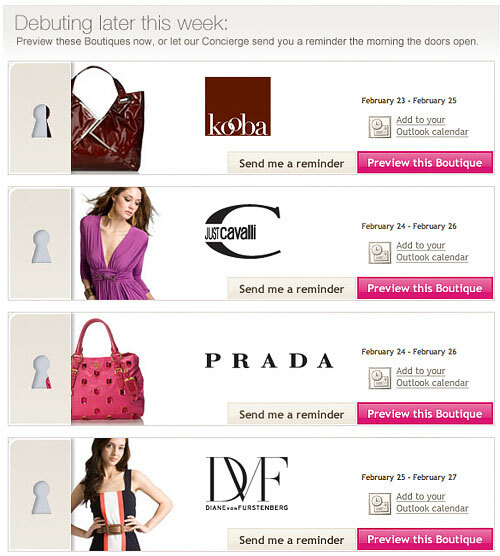 I’m thinking this would work very well for retailers who want to give a sneak preview for deal-of-day offers — providing the additional customer service of reminding customers to come back when the deal of day is something they want — either through email, Outlook calendar or even SMS and Twitter. 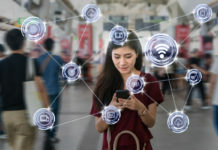 There’s also potential for alerting when new product is available, like the release of an album, video game or movie (provided they are guaranteed to arrive a certain day).